Don't be. There are no trains today, or tomorrow. Back in the day, mail trains ran between Mombasa and Kampala twice a week, leaving Mombasa at 4 p.m. on Sundays and Wednesdays. The 48-hour trip cost 10 pounds 8 shillings 90 pence in first class. 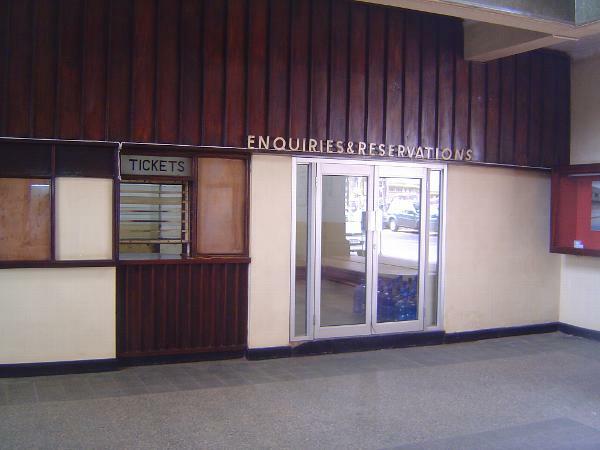 An alternative, slower route ran to Port Florence (now Kisumu) and from there by ferry to Entebbe or Port Bell. Braver souls could journey up the Nile from Khartoum to Juba, then continue on a bus operated by the Sudan Government Railways to Nimule, where steamships provided by the Uganda Railway steamed to Butiaba on Lake Albert. From there, buses ran through Masindi to Lake Kyoga and the town of Namasagali, from which a train could be taken to Jinja. Amazing, isn't it?